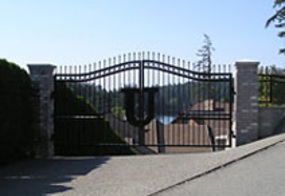 Robblee's offers a wide range of products and designs for residential gate applications. This includes custom gates and fencing, automated gate operators, telephone entry systems and all safety devices needed to protect your family and your property. Please let us be a part of securing your property. Call us at 253-627-5448 for a free estimate.